Need to post a job, rent an apartment, offer a service or sell a vehicle? Hey Warwick provides the ultimate solution by not only listing your ad, but ALSO sending out a text alert to ALL our app users. Now you are guaranteed that people will actually SEE your classified! You specify and submit your details using the form below. 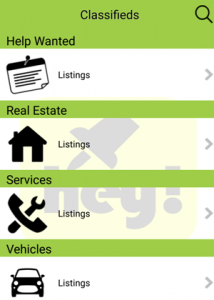 Upon approval and payment, your classified will be listed on the Hey Warwick Classifieds Tab. 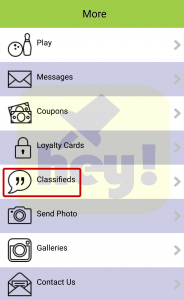 Each classified includes a push notification for each month listed.